Brighten Your Lips Overnight in 7 Easy Tips! Who doesn’t envy for an innocent, bright pink-ish lips like a Disney princess? It will definitely perfect your no-makeup makeup! No fancy treatment needed, let’s use these natural ingredients for a lips spa! Apply a cold rose water on lips (dab with cotton 2-3 times) and go get your beauty sleep. Alternatively, you can make your own rose water potion by soaking some rose petals in milk until it becomes paste, and dab it on lips before sleep. Cut a piece of aloe vera and discharge the gel-like essense (of course you can just buy the processed ones on beauty shop, but…let’s get more natural, shall we?). Dab on lips, massage gently. Repeat everynight for best result. One of the best natural exfoliators, just scrub your lips with a paste made from sugar and water, massage it gently in circular patterns before sleep. The hipster fruit will bring a new glow to your lips instantly, while hydrates it at the same time. Mix a tablespoon of pome juice with carrot juice and leave it on your lips overnight. When everyone’s crazy bout almond milk, it’s actually almond oil that’s has regenerating effect on our lips. Massage it gently and leave it overnight. Nope, it’s not just your regular cough remedy – a combination of one teaspoon of lemon juice and several drops of honey is great for your lips. Leave it only one hour on lips then swab away with wet towel. Surprisingly, baking soda also makes a great exfoliator, therefore it can brighten the lips! 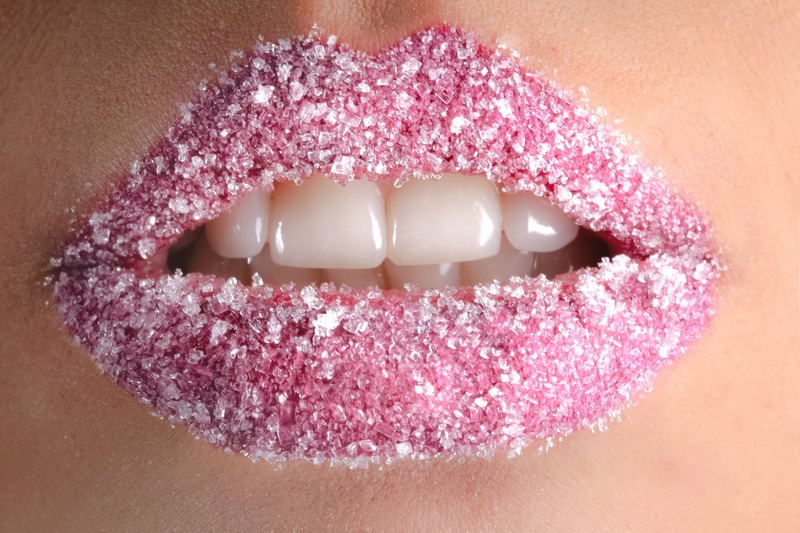 Mix a teaspoon of baking soda with water and massage it on your lips. Leave for 5 minutes and wash it away with water.